As humans a lot of us learn to give back out of kindness, in hopes of a reward, or out of natural instinct. We can give back in various ways; by buying local, helping the unfortunate, contributing to charities, donating clothes, or helping our planet and communities. However, there is an even more personal way we can give. One of the best things one can give back, is giving a part of themselves to help another—literally. People donate parts of themselves to save others everyday; either by blood, organ or stem cell and tissue donations. The medical breakthroughs the world has seen in the last century has also increased the need of human organs and cells to advance modern medicine, and save lives. Today, blood banks are far more common than they were twenty years ago. Through awareness the Red Cross has created successful campaigns to get more blood donations from everyday people. Just recently, the Red Cross stated that they were able to provide blood for those injured at the Boston marathon bombing because there was a sufficient amount of blood to use. That was only possible from blood donations they received prior and after the tragic situation. Every year many Americans are in need of new organs, and undergo risky but life-saving medical procedures. Organ donations solely rely on the generosity of someone else. The ‘lists’ many have to wait on in hopes of living longer, can be the most tense, nerve-wracking moments in ones life. Being on a list can be a dread, because organ donations are hard to come by, and the amount of people in need of organs is larger than the number of actual donors. Nevermind the anxiety that weighs on one’s mind during this period. In a lot of cases the death of someone else may be the only solution to ever receiving an organ. Imagine how that must feel for the donor recipient? Thankfully due to the small, but rising donations from others, many are still able to receive these transplants. Donating an organ is not something I had personally thought much about. When I first learned of the option to become one on a DMV form, I had a firm answer of no. Not because I didn’t see why, but at 19 I was honestly hadn’t put much thought into it, and didn’t want to. Now after becoming a donor for my brother two months ago, I’m contemplating differently. My brother underwent a bone marrow transplant (BMT), and as a perfect match, I donated my bone marrow. This procedure would help improve his health and I wanted to help him in any way that I could. Before the day of my bone marrow harvest (donation procedure), I also donated blood. But I donated for myself. Doctors advised me to do this as a precaution just in case if I needed blood during the harvest. Indeed, I did. After the procedure, doctors told me that I was given back my blood, as well as another unit of blood. I was given someone elses blood because my donation wasn’t sufficient for what my body needed. And even so, I still felt incredibly weak coming out of the recovery room. It was my first time receiving a blood transfusion, but I also quickly remembered that my brother had relied on frequent blood transfusions for his health. He’s been receiving them for fifteen years. Through my own BMT researching, I never realized why and how important transplant donations are. I found out that the likelihood of finding a match in blood-related siblings was pretty low. I was shocked to hear this. That also meant it was even lower and riskier for non-blood related donations. In terms of donations by racial groups, minority groups tend to donate less, which further decreases the amount of transplantations and matches for recipients of color. And yes, race is a factor in how quickly a patient can find a match. This something else to think about if you are apart of a racial minority group. Putting all of these things together started to make me reconsider. Surely donating an organ is a big choice for anyone to make. It’s not something I would push someone into doing, not because I disagree with the idea, but because of how large of a decision that would be. I do urge everyone to think about it though. You don’t have to rush, but do think about it from varying perspectives. When you die what do you want to happen to your body and organs? Would you want your organs to go people in need and save a life? Or what if you yourself need a life-death operation that requires the generosity of human donations, you wouldn’t refuse a chance to live with a donated organ would you? The first time experience is sometimes all you need. While it was my first time donating bone marrow and blood, it will not be the last. I donated blood again on the two month anniversary of my first time. It was my way of giving back what I received. I imagined what my recovery from the harvest would’ve been like had I not received more blood. I will donate bone marrow again in the future, but not now. Having donated to someone close to me, I’ve made it a point to donate marrow again when the post-BMT results have fully set in. I honestly wouldn’t feel comfortable donating without seeing a complete change in my brothers health. If you happen to make a decision some time now or in the future, find out how to become a donor for your state’s donor registry program. See how the timeline works from a donor recipients end and get educated on the common misconceptions. If you’re interested in donating marrow, become match for someone today—all it takes is a swab of your cheek to find out. If these types of donations are still too big for you think about, donate blood. 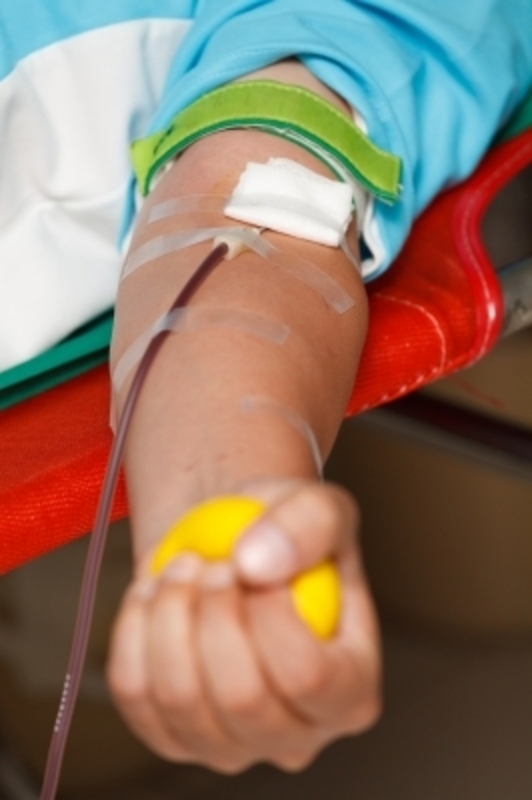 It’s one of the most common and quickest type of bodily fluid donations. Blood drives are held everyday; find one near you. Have you ever donated blood, cells, tissue, or an organ to a stranger or relative? Thinking about it?